There's an old printing kid on the block that's making a comeback in a big way. Letterpress printing. It's beautiful, classy and oh so trendy. Letterpress is a printing method whereby a metal block is made up of letters and design elements, the block is inked over and literally roll-pressed into paper or board to create an indented print. This is how printing was done in the 'olden days'. 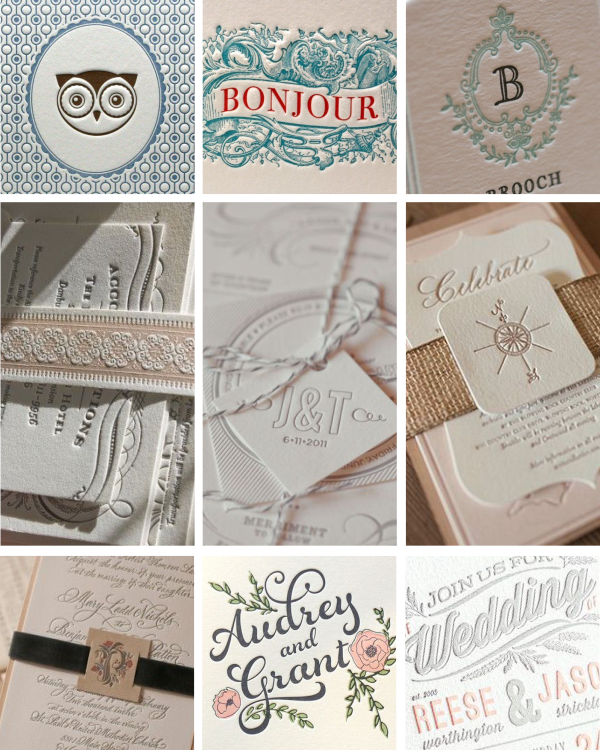 We love letterpress so much that we thought we would share some beautiful examples. Plus, we have contacts if you would like this impressive vintage technique implemented for your invitations or stationery. Just drop us an email.